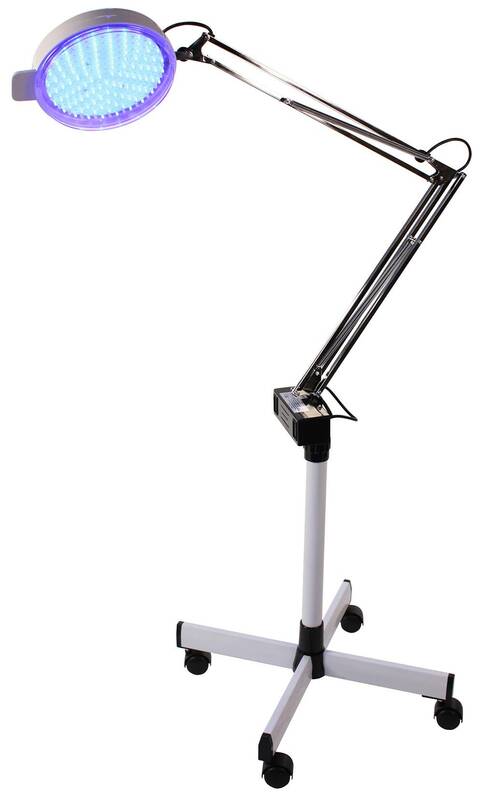 LED skin care lamp featuring four caster stand, and high radiance LEDs in blue and red. FREE Standard Shipping within Contiguous 48 States! 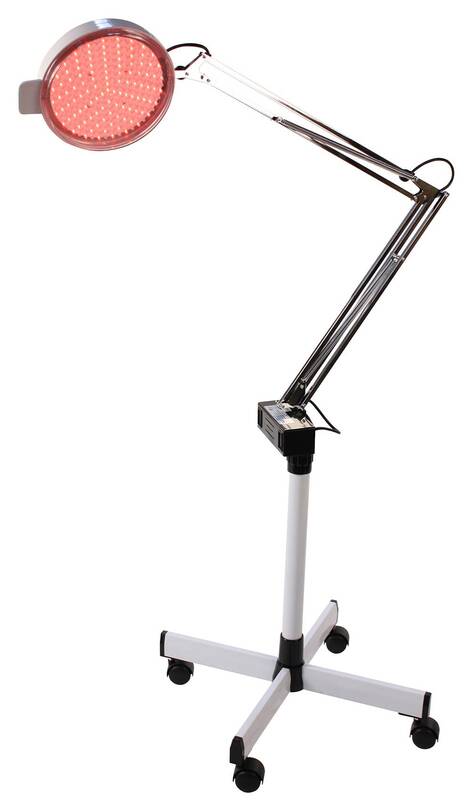 The CC-2039 LED Skin Care Lamp comes with a four caster stand and is composed of LEDs of high radiance and low electric current. Use light waves to speed skin recovery, reduce lines and wrinkles in the skin, and also reduce pore size, age spots and acne, making skin look healthier. Chose from Red and Blue Light waves to activate cells to improve the skin.